Well, I feel pretty good about my Tour de Fleece. My last minute spin, which ticks both my Team Wicked Stitch checkbox and my Team Browncoats checkbox–though the last one by accident. It turned out being pretty much the colorway of the Serenity movie poster, through no effort on my part. 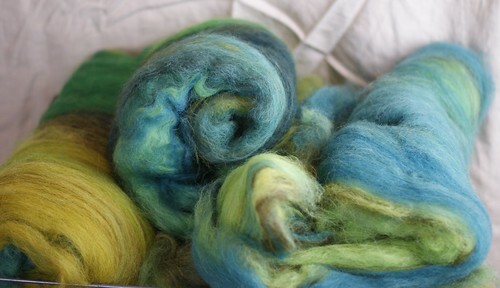 The fiber was some stuff I got at the grand opening of The Wicked Stitch, back when it was Settler’s Farm. 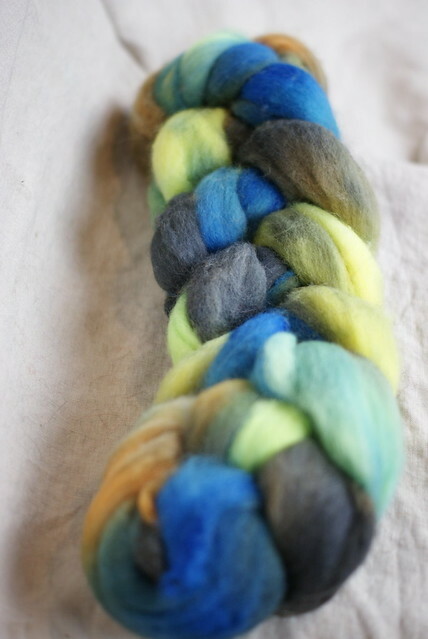 And I almost put them all together for a project, but then I decided I didn’t feel like mixing fibers, and I didn’t feel like spinning a whole pound. 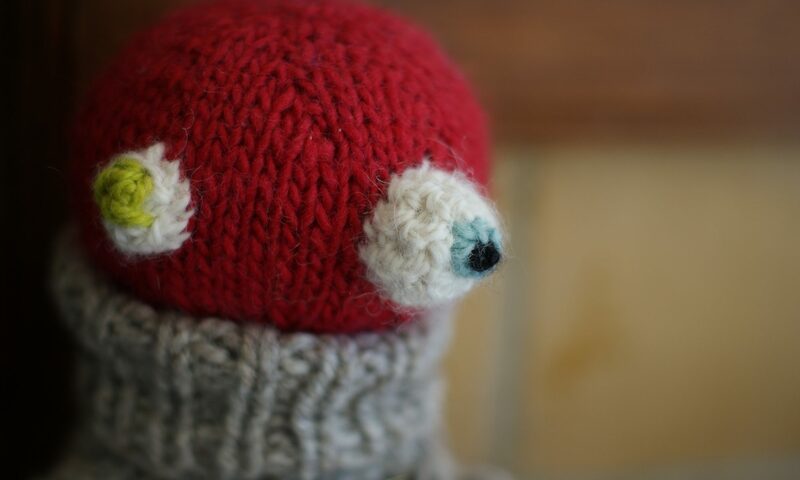 I don’t need every bit of handpsun I spin to become a sweater, after all. That brings the total to two and a quarter pounds and about 1700yds, assuming I counted the first lot right, and I’m suspicious about that, as 500-something seems low for a pound of dk to worsted, even of the heavier fibers. I mean, it was spun woolen. Even with the chain ply, that doesn’t seem right. But that’s a procrastination project for another day. 1. Yarn School widows & orphans=1# woolen chain plied odds & ends. 2. 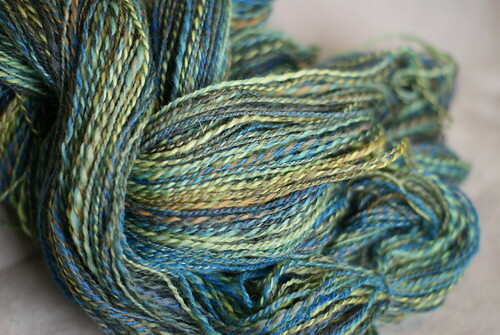 Hello Yarn Yarn School Grunge (2006) and Gentle (2011), Woolie Bullies merino & Spinning Colors Dune=1# worsted 2-ply. 3. Wicked Stitch Combed Top=Worsted 2-ply sock. And with the last two, I am officially sick of spinning combed top for awhile. 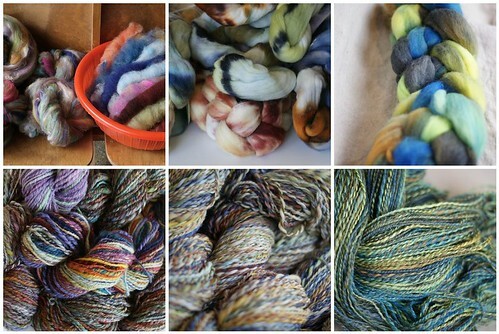 Haven’t picked out he rest of my June spin or my July spin, but for the June, at least, it will be roving or batts. I did not spin every day after the first week, but I did pretty well, and considering I’m also working on several design projects, I’m satisfied with my output, though I did feel kind of deflated after looking at the Team HY/SE/SCF page and learning that my 2+# was way less impressive than I thought. But at least I get to tick off a couple more boxes on my Überlist. beautiful spinning… I finished by spinning every day, including rest days but did not do as well as I would have liked. 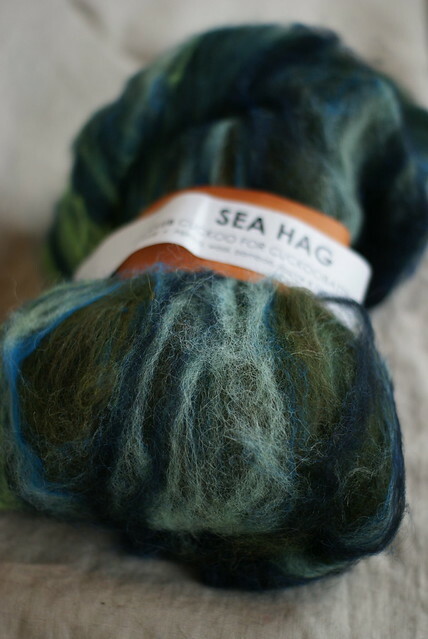 I still have 3 baskets of roving to spin… I’ll finish it soon though.